The meeting was held to advance our understanding of the mechanisms behind recent climate change in the Arctic and Antarctic. It consisted of invited presentations, discussion periods and breakout sessions to address particular questions. 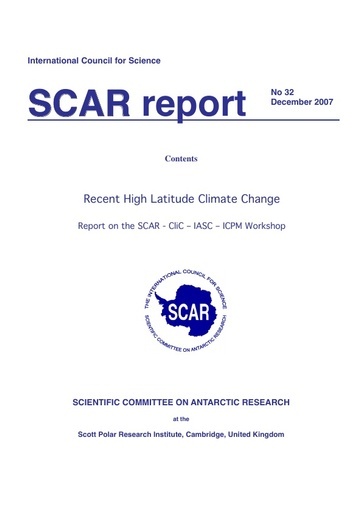 The following is a summary of the various presentations organized into Arctic, Antarctic and bipolar issues. It is followed by summaries of the breakout sessions.